How should Christianity relate to Chinese culture? That question has engaged the minds of both Chinese and Western Christians for several centuries . Lit-sen Chang (1904-1996) was brought up as a Buddhist and educated in the Confucian classics as well as in modern political philosophy. He later delved deeply into Daoism as well. After World War II, he founded Jiangnan University in order to "exterminate" Christianity and revive Eastern religion. Conversion to Christianity in 1950 radically altered the course of his life. He studied at Gordon-Conwell Theological Seminary and then joined the faculty, teaching missions and writing prolifically on theology and apologetics, especially on the relationship of Christianity to Chinese culture. 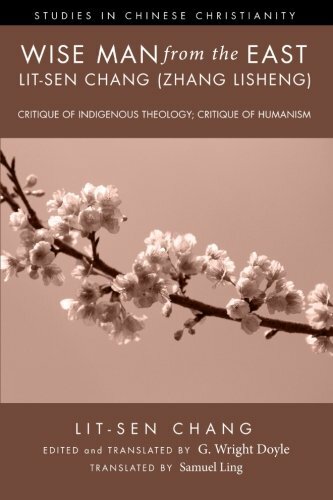 His Critique of Indigenous Theology and Critique of Humanism are published here in English for the first time, and provide excellent examples of his wide learning, insightful analysis, powerful writing, and firm commitment to historic Christianity.